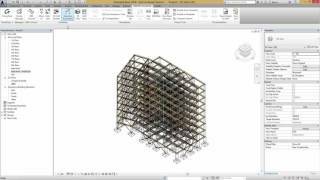 GRAITEC BIM Connect enables an effective and efficient BIM workflow between Autodesk® Revit®, Autodesk® Advance Steel® and GRAITEC Advance suite (Advance Design, Arche, SuperStress) for structural elements. Intelligent BIM workflows are essential to retain the integrity of model and associated data. BIM Connect links Revit models with GRAITEC Advance suite for optimized BIM workflows and streamlined synchronized design to detailing to construction of structural projects in accordance with U.S. and Eurocode and other international standards. GRAITEC BIM Connect also supports multi-discipline and multi-platform workflows, with advanced options enabling the transfer of building performance FEM results, between Advance Design and Revit and from Revit to Advance Steel further valuing the importance of utilizing analytical data for automating downstream processes such as rebar creation in Revit or connection design in Advance Steel. Bi-directional links between Advance Design, Revit and Advance Steel. Automatic material mapping for steel sections and concrete shapes. 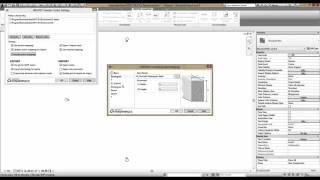 Ability to transfer FEM results to Revit and Advance Steel (necessary for automating downstream processes). 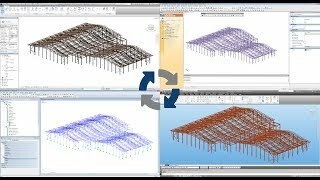 Elements split at supports (slabs, continuous beams) can be transferred and synchronized.